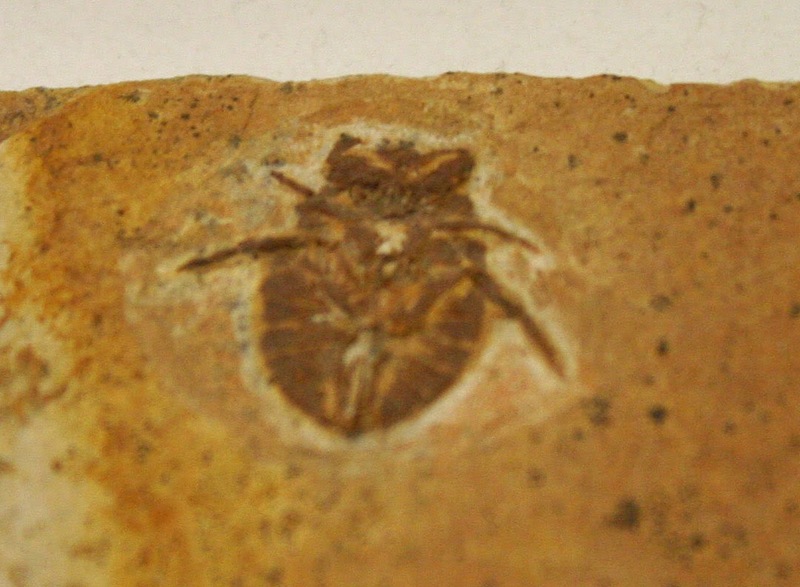 Here is a picture of a Hemiptera heteroptera insect fossil at the Museo di Paleontologia at Sapienza University of Rome Italy. Creatures like this existed at the time of the upper/late Cretaceous Period (ICS geological timescale: Cenomanian). Fossil was found in Cearà, Brazil.